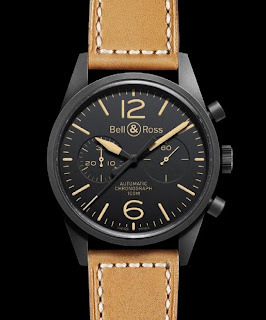 Bell & Ross is one of my favourite brand of watches. I just love their iconic square watches, the BR Instrument range. This year in Basel 2010, they released two new watches, and I have to say that I am liking them. The watches are the Vintage BR 123 and BR 126 Heritage watches. I do hope that these watches becomes as iconic as the square BR Instrument watches. 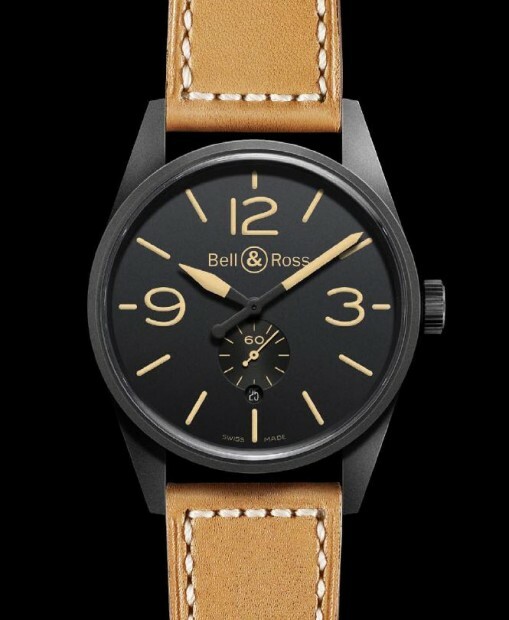 These watches were created by Bell & Ross as a homage to the pilots of the 1940s. In line with the cockpit instruments of the planes of the era, the watches are simple, functional and timeless. The thing that makes me like the watches, is the selection of the sand colour as the finish of the hands, index and numerals making it look like the watch is older than it actually is. This is matched with the natural colour leather strap. There are two watches in this series, the BR 123 and the BR 126. The BR 123 is a basic 3 hand watch while the BR 126 has the chronograph complication. Both watches have the date complication as well. Both the watches share the same case design, colour and finish. Case: 316L stainless steel, bead blasted with vacuum carbon black finish, 41 mm diameter.